At certain times in your life, you get the urge to know someone better. Something is attracting you toward this person, and it goes beyond what can be expressed in normal conversation. This can be a friend, a family member, or a lover. It is a yearning for a psychic link; a desire to read someone’s mind. You are seeking a telepathic connection. The possibility of telepathy has captivated humans for thousands of years. We tell sensational stories about those with telepathic abilities, like Jean Grey from X-MEN, the Jedi in Star Wars, or, on the more sinister side of the telepathic spectrum – The Sith. There are mentions of telepathic ability in the writings of the Ancient Egyptians and Greeks. Up to this very day, reports remain of isolated indigenous communities in the Andes and the Australian outback who have telepathic abilities. There is something about telepathy which appeals to something deep within the human psyche. However, telepathy is often misunderstood. Many who claim to be telepaths are mere tricksters. To learn how to read someone’s mind telepathically, first you must understand what telepathy is. Unlike a psychic, telepaths communicate thoughts and feelings with living beings – whereas psychics communicate with spirits. Telepathy comes from the Greek tēle, meaning ‘far away’, and patheia, meaning ‘perception of feeling’. The origin of the word should give you an insight into what telepathy is; the ability to communicate feeling and thought from a distance. It is feeling which is the most basic level of telepathic communication. Sometimes you feel something is wrong with a loved one, and you call or message them – to find out something happened to them that day. That is the most basic kind of telepathy. Most of us have experienced at least one instance of telepathic connection in our lives. Perhaps we have awoke in the middle of night, and think of a loved one, just before they call us. It is clear from these intuitional experiences that many of us have an innate telepathic ability within us, just waiting to be unlocked. This guide will help you reach that telepathic ability at the core of your being, in a way which is good for you and the subject of your telepathic connection. Far from just transmitting feeling, with a developed telepathic ability you will be able to send fully formed thoughts and images. However, before you learn how to do this, we must first explain what telepathy is not. If you search on Google for advice on how to practice telepathic communication, often cold reading comes up as a method. In truth, if you want to experience the earth-shaking revelation of real telepathy, you must avoid cold reading. Cold reading is merely a method of acquiring information, and tricking people into believing you are a telepath. It only involves observation – it is not about unlocking and channeling an innate telepathic ability. Cold reading, and other methods like it, advise you on how to interpret people’s body language, their clothes, their way of speaking and to read in-between the lines of what they say in order to make a profile of a person. From this information, you can then make educated guesses about how the subject of your inquiry thinks and feels. Using more general questions to glean information, you can then ‘reveal’ to the subject, or an audience, their thoughts and feelings. 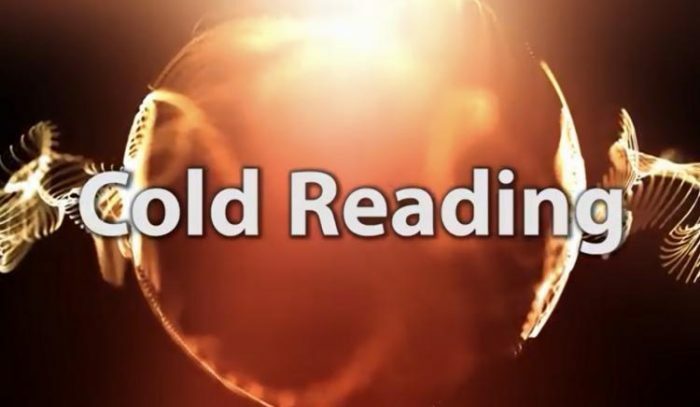 If you are good at this, cold reading gives the illusion of telepathy. However, it is not the real thing at all; it is a mere trick. To really engage with telepathic practice, you have to work on cultivating a psychic bond. This requires more time than cold reading, more effort, and greater faith – but the results can be life-changing. Energetic coupling is very important to telepathy between two people. When people are best friends or spouses, there is often shared common interest. When this commonality happens, energetic coupling is at its highest. Engage the other participant in simple questions, such as what is your favorite color, where are you from, etc. Once this bond is formed, try and read the other’s thoughts before the thoughts are spoken. Trying to hone in on contextual and visual cues will help guide the direction of the conversation. Often times, getting a feeling when speaking with the telepathy partner can also be a great bond. After this bond is formed, it can last for days or even months, even with separation of thousands of miles. This part of the telepathy process is to aid in relaxation of the body and mind. This will help bring better focus to the proceedings. Yoga is considered to be the best exercise for telepathy preparation because it can be both spiritual and low on intensity. The goal of this is to make sure relaxation occurs, so straining or overdoing the exercise will not be helpful. In order for telepathy to work, relaxation is key, as well as decoupling certain forms of energy. One way to meditate is to sit upright in a chair and close the eyes. Focus on the clear thoughts coming into the mind. Try to separate those thoughts from any buzzing that may be going on in the brain. The separation of these two energies will help to bring into focus thoughts protected from any outside interference. It is very important to decide who will be the sender and who will be the receiver. Both these duties have different responsibilities in the process. If the decision isn’t made before the telepathy session, mixed messages could be sent. By establishing clear boundaries at the start, it will avoid any unnecessary crossed connections. Always remember to choose a trustworthy and willing partner. Make sure that the partners are sitting across from each other, in an upright position. Bodies should be facing one another and with the eyes closed. Spend a few minutes in this position meditating and clearing the mind. Telepathy can happen from a distance, but it’s best to start in this close position. Limit the amount of time spent on a session, as it can become mentally tiring if too much time is devoted to it. The person sending the message should visualize the receiver clearly in the mind, with eyes closed. Make sure this image is as detailed as it can possibly be. Think of the receiver’s hair color, eye color, height, weight, and quirks of personality. If the message is going to be sent over a distance, make sure to have a picture of the receiver nearby. The sender needs to form a very particular image in their mind before the message is sent. This image should be of a portal through which to send the message, such as a silver tube. This portal links the minds of the sender and receiver. Visualize this tube as energetically charged and sending messages to the receiver. Focus the mind only on this tube; this is a very important component in the process. There must be a strong belief that the message is being sent through the tube, and that it is real. This picture could be anything from a banana to a telephone to a pencil. Visualize all the details of the particular object, such as what its function is, what it looks like, where it is located. Important to this step is associating a feeling with the object. For instance, how the food tastes, to the feeling it gives while eating it, is important to the process. Injecting emotion and feeling into the visualization helps to transmit the message more clearly. Once this image is clear in the sender’s mind, bring up the visual of the silver tube and direct the image of the object through the tube. Use all the brain power possible to push it through the tube, and believe that it will work. This process could take up to fifteen minutes. If this step takes too long, stop and meditate, then come back to it. The receiver should be concentrating on signals and picking those signals up. The silver tube should also be visualized by the receiver. Once the message is received, the receiver should write down the message in great detail, including the feelings associated with it. Then the sender and receiver should compare messages and see if the message sent was received. Telepathy involves channeling your intuition, thoughts and feelings – but also practice. Do not be surprised if you do not develop a strong telepathic ability right away. Like a muscle, a telepathic ability must be worked on to be strong. You must carefully attune your telepathic ability, and focus on its development to become the strongest telepath you can. If you follow our steps, your true potential for telepathic ability will reveal itself. Telepathy is reading a mind, and sending messages from mind to mind. So, it’s not an activity you can practice alone; you’re going to need a partner. The right partner is someone you can trust – and someone who believes in the power of telepathic communication. First and foremost, both you and the person you are trying to telepathically communicate with must have faith telepathy exists. If you approach it with a skeptical mind, you risk clouding your innate intuition, and tarnishing the subtle bond between you and the receiver of the telepathic message. True faith in the possibility of telepathic communication is what allows the right energies to gather, and a psychic bond develop. It is unlikely you will experience a full, strong telepathic experience overnight. If you do – good for you! But most of us have to cultivate and nurture our growing ability. Remain unwavering in your belief on telepathic communication as you focus on the receiver of the telepathic communication. Pay attention to subtle variation in mood and atmosphere – that may be a message coming from the person you are trying to practice telepathy with. Some guides advise you to decide who should be the sender and the receiver immediately, but we advise against that. 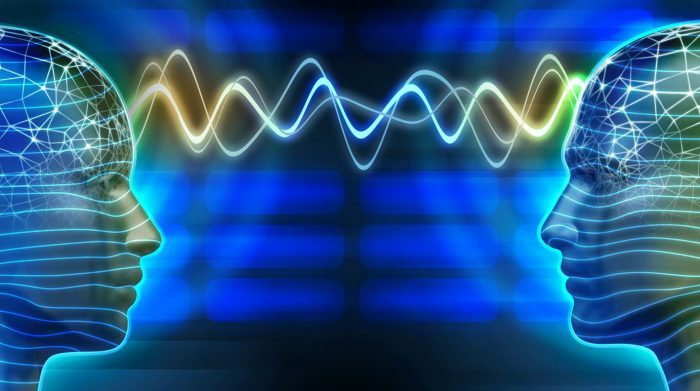 Get a feel for the focus on telepathy and see who is naturally experiencing more mood variations – they are more naturally inclined to be the receiver of communications. Like positive and negative particles, one person must be passive and the other active for the telepathic event to occur. However, in some people, these states will vary. Sometimes you will be the receiver, and other times the transmitter. This is a true telepathic connection. If you are the sender, focus on something simple, like an object; a cat, a vase, a rug, and try and transmit that. If you are the receiver, focus on the other person, like you’re waiting for them to come through the door any minute. Something simple is a good place to start; even a single world can do it. If you think you have received a clear message, make sure to share it. These clear transmissions most often occur when you are in your down time, practicing quiet meditation. If the receiver was trying to send a cat, and you got a dog, you are getting somewhere. Do not be discouraged – if you want to hone the craft and strengthen the bond, perhaps forewarn of the time you are attempting telepathic communication. To truly develop a robust telepathic connection, you must spend time apart, only picturing the other person in your mind. Of course, time together is necessary, especially in short and intense bursts, which helps ferment the psychic bond. However, for true telepathic communication, you must also spend large swathes of time apart. Practice your ability to telepathically communicate in different environments; in the same room, back to back, in different rooms of the same house, at a distance, after seeing each other every day for a week, after not seeing each other for a month. Learn how your emotional responses – and physical distance – affect transmission of the message, to truly hone your craft. If you start getting successes, keep on trying longer messages and more complex pictures. Attempt to wake up your receiver or have them phone or text you. 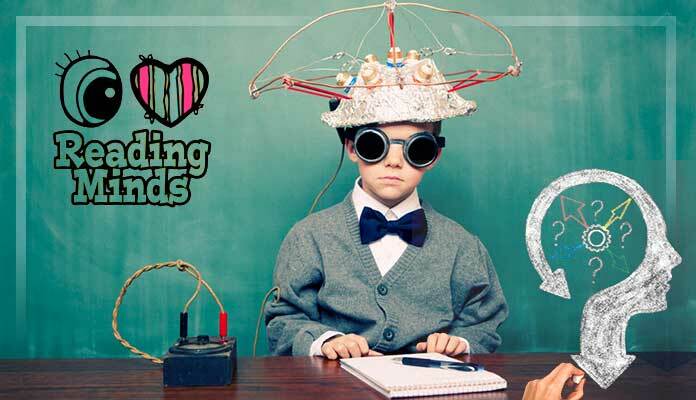 A telepathic bond can be one of our happiest connections – happy telepathing!